Happy Friday, friends! What are you up to this weekend? It’s supposed to be a bit drizzly here, but the dreary weather can’t break our spirits because there is sunshine in our future…Jules and I are headed to San Diego for a girls’ getaway at the end of May! We are beyond excited to lay on the beach, soak up some sun, and embark on a quest to find the best tacos in Southern California. 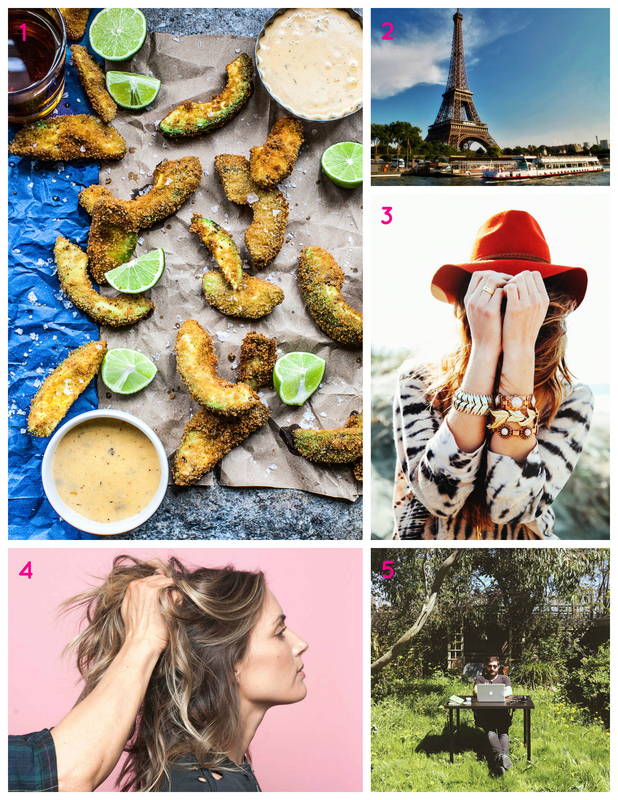 We’ll definitely share more about our travel plans later on (and of course solicit suggestions for where to find the aforementioned tacos), but for now let’s dive in to some of my favorite links from the week! Happy Friday! You always do the best roundups. I’m dying over the bob tutorial and have wondered how to achieve this look. I can’t wait to try. I’m jealous of your girls trip. I’ve never traveled with my bestie. What a fun idea. I wish I could say I was doing something exciting this weekend, but I will be reorganizing my home. Lucky for me lol. And I had no idea there was a secret apartment in the Eiffel tower. I wish I lived in it lol. Hello! Just happened to stumble upon your blog and really enjoyed scrolling through and reading your posts. Looking forward to the next!